Privacy and cybersecurity attorney Dominique Shelton Leipzig co-chairs Perkins Coie’s’s Ad Tech Privacy & Data Management group. She provides strategic privacy and cyber-preparedness compliance counseling, and defends, counsels and represents companies on privacy, global data security compliance, data breaches and investigations with an eye towards helping clients avoid litigation. A former litigator for 22 years, her compliance counseling includes defending companies under investigation by the Federal Trade Commission, attorneys general offices and other regulatory and government authorities. Through these actions and related litigations where she provides subject matter leadership, Dominique is able to advise companies on best practices in privacy, cybersecurity, data, mobile, cloud storage, Ad Tech privacy, Internet of Things, cyber preparedness and other areas of regulatory compliance. Dominique frequently conducts trainings for senior leadership, corporate boards and audit committees regarding risk identification and mitigation in the areas of privacy and cyber. Recognized as a “Woman Leader in Tech Law” by The Recorder and as one of the most influential lawyers in digital media and e-commerce law by the Los Angeles Business Journal, Dominique has deep experience advising publicly traded and privately held companies in healthcare and med tech, media, entertainment, e-commerce, financial services and other industries. She leads companies in legal assessments of data security, cyber preparedness and compliance with such regulations as the California Confidentiality of Medical Information Act (CMIA), HIPAA, the Video Privacy Protection Act (VPPA), the Children’s Online Privacy Protection Act (COPPA), California Consumer Privacy Act (CCPA) and the NIST Cybersecurity Framework. Dominique has significant experience leading investigations related to data and forensic breaches. She has steered investigations for a range of companies, including for national retailers, financial institutions, health and wellness enterprises, media companies and others. Dominique also advises companies on global privacy and data security, particularly on EU General Data Protection Regulation (GDPR). Her background includes advising on European, Asian and South American privacy and security compliance projects for U.S.-based and overseas companies. In addition, she counsels on strategies for related legal compliance and vendor management in cross-border transfers. Highlights of Dominique’s litigation achievements include shutting down the threat of a $29 billion privacy class action by obtaining a denial of class certification; achieving two summary judgments on behalf of a technology company in a $40 million copyright litigation against a government contractor; and representing several large companies in class action litigation in state and federal courts pertaining to the Credit Card Transactions Act (FACTA). A past-member of the Federal Bar Association’s board of directors, Dominique served for five years on the Magistrate Judge Merit Selection Panel for the U.S. District Court for the Central District of California, and served as a lawyer representative to the Ninth Circuit Judicial Conference. She is a member of the International Association of Privacy Professionals and a Certified Information Privacy Professional (CIPP/US). 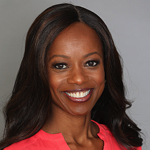 Dominique is a frequent speaker and panelist at leading conferences and meetings, where she addresses such topics as cross-border data transfer litigations and investigations, privacy concerns in health tech and emerging cybersecurity issues.